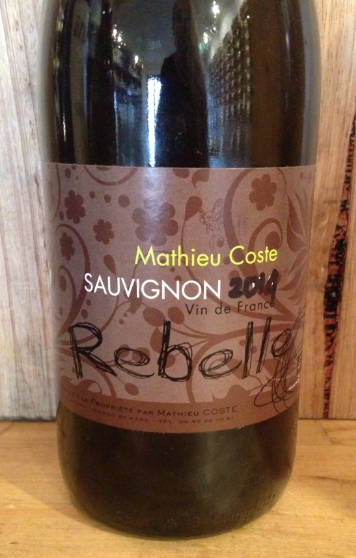 2014 Mathieu Coste 'Rebelle' Sauvignon Blanc. Loire Valley-FRANCE. Organic Sauvignon Blanc from a small producer located just south of Sancerre. The wine is fermented in whole clusters, in concrete vats. No yeast is added. Fermentation usually lasts about 3 weeks and malolactic fermentation is allowed to occur at it's own pace.